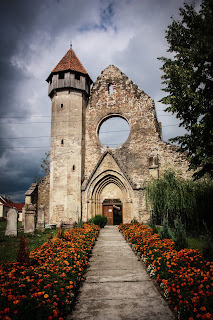 Does Everyone Want is best for Transylvania? I think that these two photos explain in a way the idea of what Transylvania means to so many people who have lived in the land or who have moved to it, or still live in that part of Romania. The idea that Transylvania was a part of Hungary or of Romania does not really matter in the end. Rather it is the idea, that Transylvania is a part of the Balkans. It has a unique history, and one which most people can not object to where their homelands are without extreme violence. 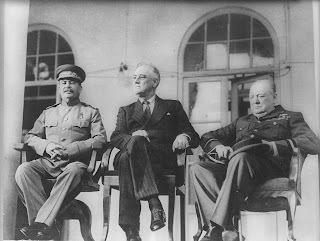 This photo shows that these three men made a choice for Transylvania. 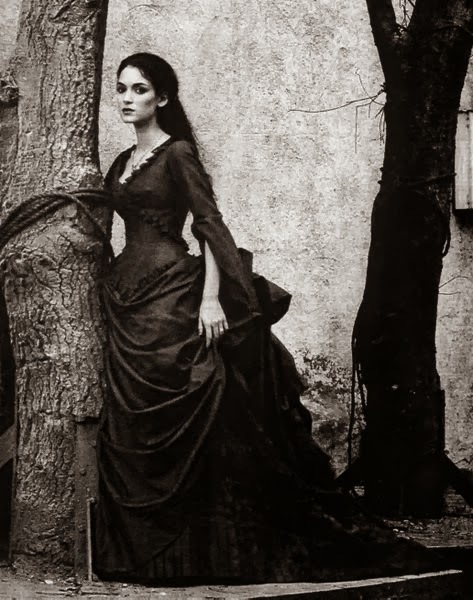 Although the majority of the population who lived in Transylvania after the Second World War were Romanians, most of the population before that times were ethnic Romanians. Stalin and Churchill have a lot to do with Transylvania. This asks the questions does everyone want what is best for Transylvania? 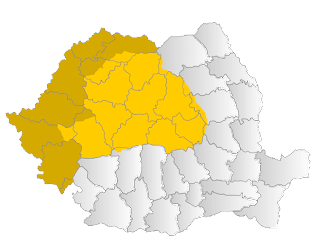 In a sense, yes people who live there want what is best, but I would argue that people who have not lived there might be unsure, or unaware of the reasons for bitterness about Transylvania. One can even argue that the Romans and Dacian began this conflict so many centuries ago. 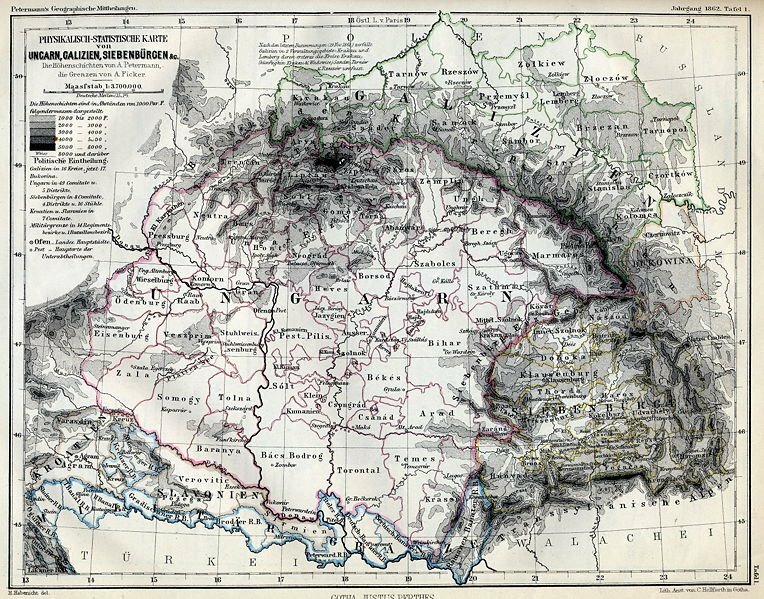 This is a map of Transylvania which is older, but the map below it shows the ethnic population of Transylvania while it was a part of the Kingdom of Hungary in 1886. Note that the light blues are Romanians, and the Pinks are Hungarian. The Yellow is German. It is interesting to see this and something which needs to be taken into account when one discusses Transylvania. If this means that Transylvania is a part of Romania, it should be because of the population that lived there bears this out. 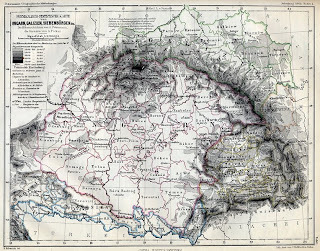 In the 1886 map it shows that there was and is a strong Romanian population there.